YouTube phenomenon Ryan Celsius talks career, success & advice for independent artists. To celebrate our playlist collaboration with YouTube phenomenon and LoFi lord Ryan Celsius, we caught up with the D.C. based DJ to find out where he finds inspiration, how artists can get their tracks noticed, and his advice for growing online communities as an independent music maker. For those who aren’t already part of his loyal YouTube fanbase (boasting over 341,000 subscribers at the time of writing), Ryan Celsius is an underground music curator who runs his own suite of LoFi hip-hop YouTube channels. Tune into his popular live stream (which runs 24/7 on his channel RyanCelsius° Sounds) and you’ll find yourself roaming the back streets of Shinjuku or low below the ground in an abandoned Tokyo tunnel. No matter the theme, Celsius stays true to his unique concept: fusing music with visuals — usually a remixed hip-hop classic or a custom track made specially by a new independent artist, paired with mesmerizing footage which transports viewers through urban city streets. With over 800 published videos and almost 50 million streams, you might think Celsius would have an attitude about him. But his laidback nature and genuine passion for supporting young, independent artists is obvious as he talks to us from his modest home studio in D.C. Tapping into these personal experiences to deliver his emotionally resonate mixtapes, Celsius reveals that his channel is “really personal and “almost like a journal”, helping to document how he’s feeling at certain points in time. Talking about his experience mentoring up-and-coming independent artists, Celsius believes that the mentality of ‘how can I get the most streams?’ is largely destructive. “A lot of artists get upset and want to quit because they put up a track and it doesn’t get more than 10,000 views. But artists should focus on perfecting what they’re doing and not focus on building a community right off the jump. “You want to have a base. It may not come at once, but as long as you’re building your craft, you will get attention and you will build a following of fans that are authentic and loyal. So what can we expect from the new Ryan Celsius x Amuse playlist collab? “The HIGH AT WORK playlist includes a lot of smooth, southern hip-hop inspired by funk and lo-fi which I think is ideal for the work day. You won’t be put to sleep, but you’ll be able to bop your head and relax. To curate his upcoming playlists in collaboration with Amuse, Celsius reveals he’ll be sourcing tracks from friends, established artists and new independent music makers distributing their music through Amuse. “I try to look at a track and see if the artist brings something unique to its genre,” he says. “There are some producers who are incredibly creative and can take something that already exists and just do it in a better way. “I look for artists who have a mastery of the production tools they’re using, because that means they’re a master of instrumentation and that’s what I really look for. I also like artists who experiment with different genres and push the boundaries of what their sound is. 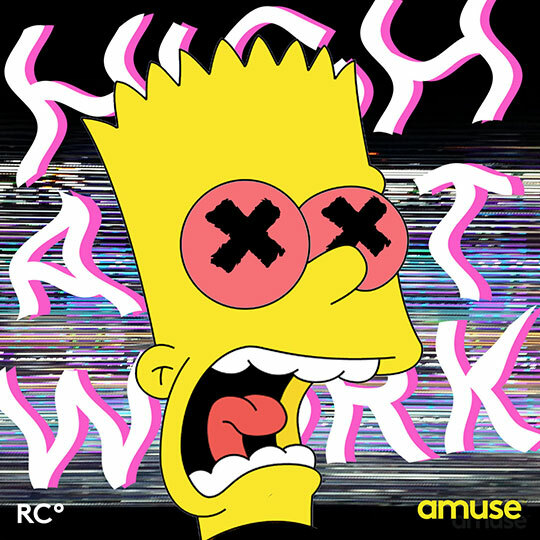 Listen to the first playlist from the Amuse x Ryan Celsius collaboration here. You can learn more about distributing your music with Amuse here. Ready to get started? D﻿ownload the app here.